Stay stylish with this super chic dress from our Bump It Up maternity collection. 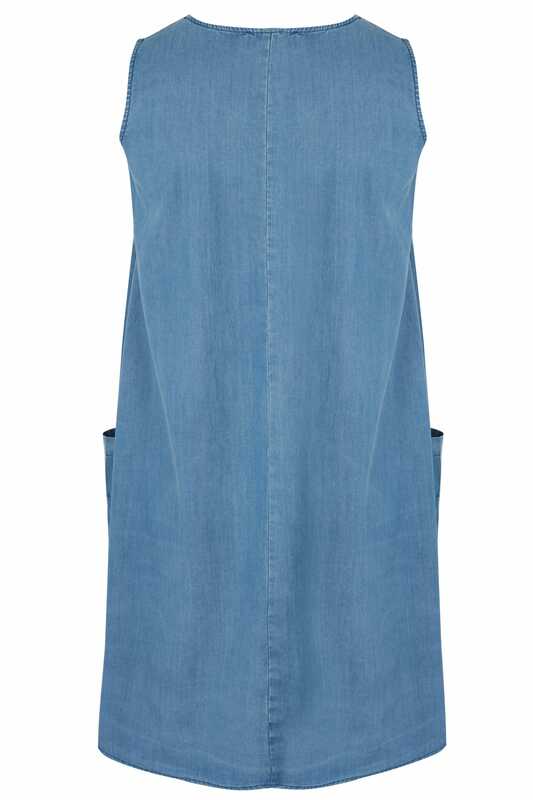 Made entirely from cotton for comfort, it is cut to a knee length and features a pleated front for a flattering finish. 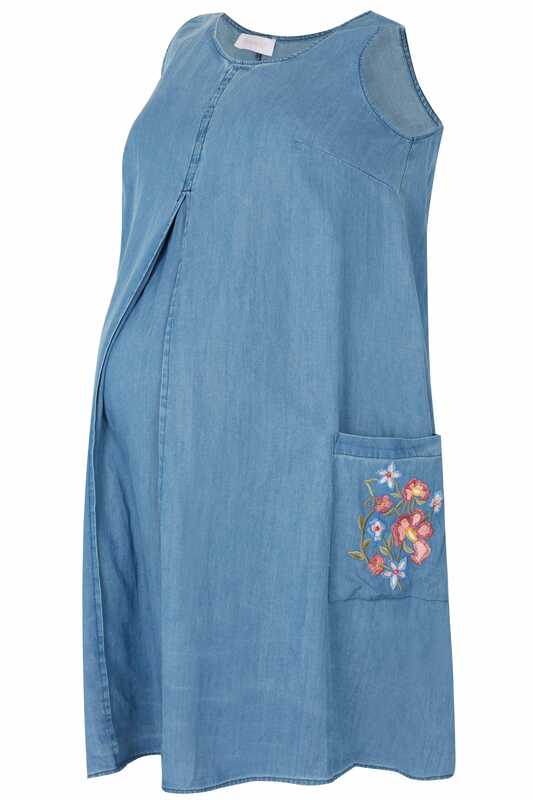 We are loving the chambray fabric and elegant floral embroidery.